The all-new, aggressively styled FZ-10 is the one you've been waiting for. This flagship model offers serious power and agility thanks to its R1-derived engine, chassis and fully adjustable suspension. Experienced riders will appreciate its comfortable upright riding position, torquey power delivery and corner-carving precision. 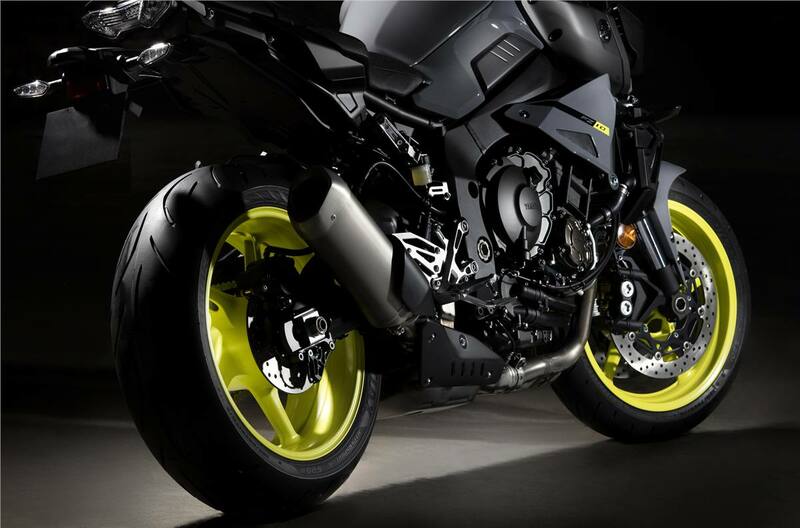 The FZ-10, guaranteed to provide an emotionally charged riding experience. Power: The latest generation R1 based crossplane engine has been tuned to provide plenty of low to mid-range torque and power. The intake ports and valves, combustion chamber and camshafts have all been newly designed to achieve outstanding "ride-ability" in a wide variety of riding situations. Versatility: Natural ergonomics, cruise and traction control systems plus ABS brakes highlight the versatile positioning of the FZ-10. And with Yamaha's wide variety of genuine accessories, we have your riding style covered. From sport riding to commuting to longer distance adventures, the new FZ-10 is ready to impress. Style: The distinctive exterior style of the FZ-10 is defined by a dynamic mass-forward silhouette with lean yet muscular, athletic lines. A small front cowl, full LED lighting, and exposed engine combine to create the visual expression of spirited performance. Ultra-lightweight, compact, 998 cc, DOHC, 16-valve (4-valves / cyl. ), liquid-cooled, in-line four-cylinder engine with "crossplane" style crankshaft. The key components of this cutting edge engine design are the "crossplane" crankshaft and an uneven firing order. Both of these features are used on Yamaha's championship winning R1. 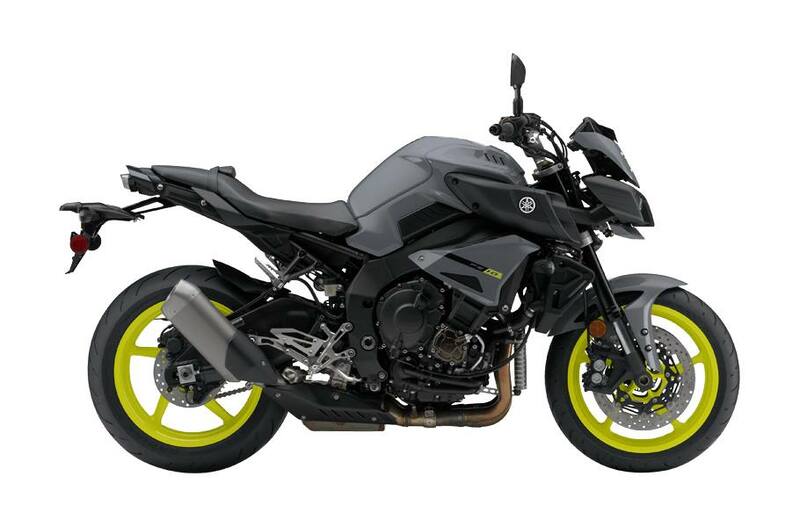 The FZ-10's crossplane crankshaft locates the center two rods at a 90 degree plane from the outer cylinders. Instead of the crank pins aligned on the same plane (a straight line drawn through the center of the crankshaft), they align on 2 planes in the form of a cross... or "crossplane". Working in conjunction with the crossplane crank is an uneven firing order. 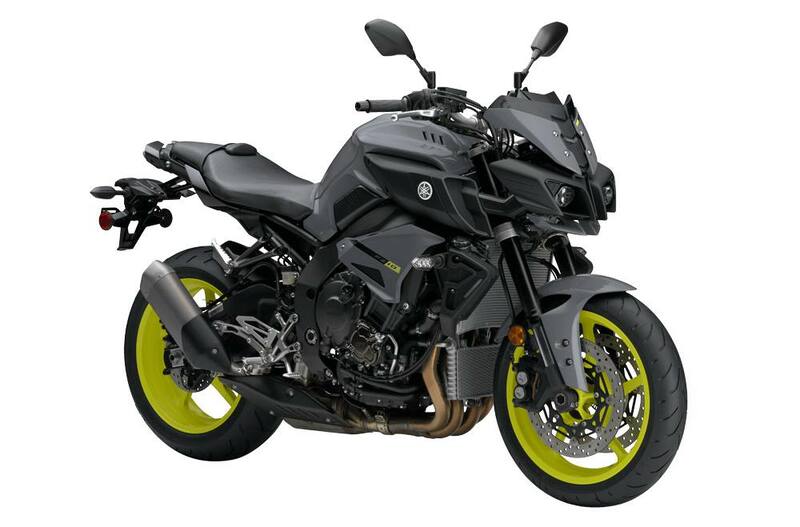 This FZ-10 engine fires 1,3,2,4 cylinders and the firing intervals are uneven at 270 / 180/ 90 / 180 degrees. 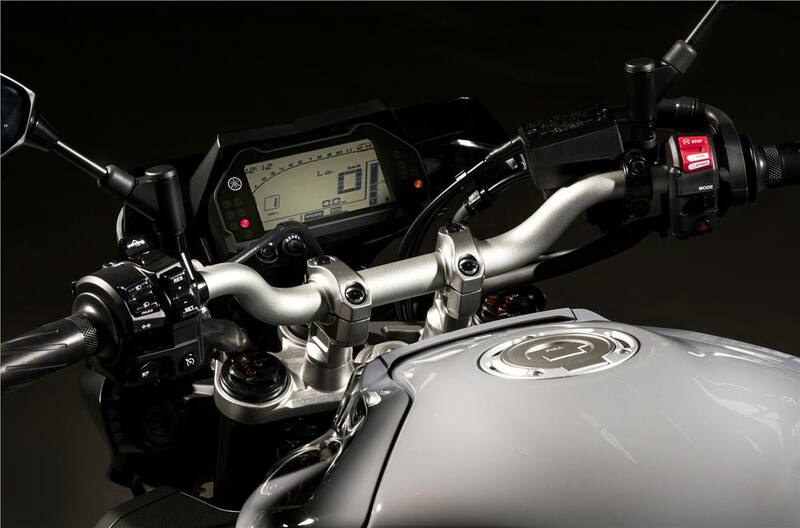 What all this means to the rider is the most linear torque possible with amazing throttle control. Short 1400 mm (55.1") wheelbase for super agile handling. Lightweight aluminum upper & lower triple clamps. Compact, single piston, slide-type Nissin rear caliper squeezes a lightweight 220 mm disc. Low maintenance, sealed 10 amp hour battery (higher capacity battery than R1 & R1S). Battery should be charged during winter storage. 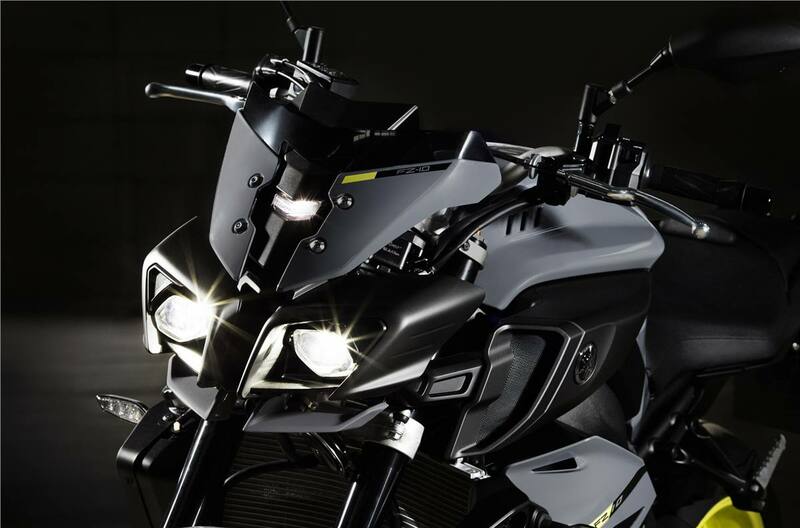 The FZ-10 offers a significant level of power & performance. It is not intended for novice or inexperienced riders. All information is subject to change without notice. Every attempt has been made to showcase Canadian versions of our products, but all images, information and specifications may not be exact and are subject to change without notice. Some models may be shown with optional accessories. Fuel economy estimates are based on US EPA exhaust emission certification data obtained by Yamaha and converted into Canadian measurements. Your actual mileage will vary depending on road condition, how you ride, maintain your vehicle, accessories, cargo and operator/passenger weight.